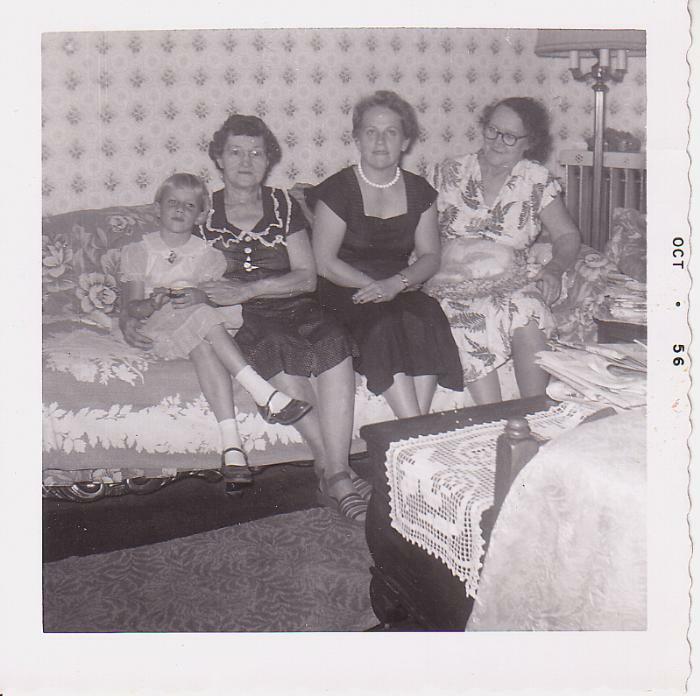 Brenda Esselborn Stock, Hanna Esselborn, Mildred Parker Esselborn and Louise J Esselborn Waters. Louise married George Walters. She was his second wife. Hanna and Louise are sisters to Fredrich Esselborn and sister-in-law to Theresa Muskopf Esselborn. Brenda is sister to Carol Esselborn Fivecoat.